Dental implants are the only permanent solution available to replace a missing teeth. It doesn’t matter whether you’ve lost a tooth due to decay, trauma or overcrowding, it’s important to visit your dentist immediately. Because teeth support each other, it only takes one missing tooth to cause the surrounding teeth to shift. When this happens, chewing often becomes difficult and speech patterns can become impaired. Widely considered to be the most durable and functional tooth replacement option available, dental implants are becoming the go-to procedure to fill the space left by a missing tooth. That’s because the long-term consequences of tooth loss can be serious. Large voids between teeth eventually become difficult to clean, which is why tooth decay and periodontal, or gum, disease often follows tooth loss. 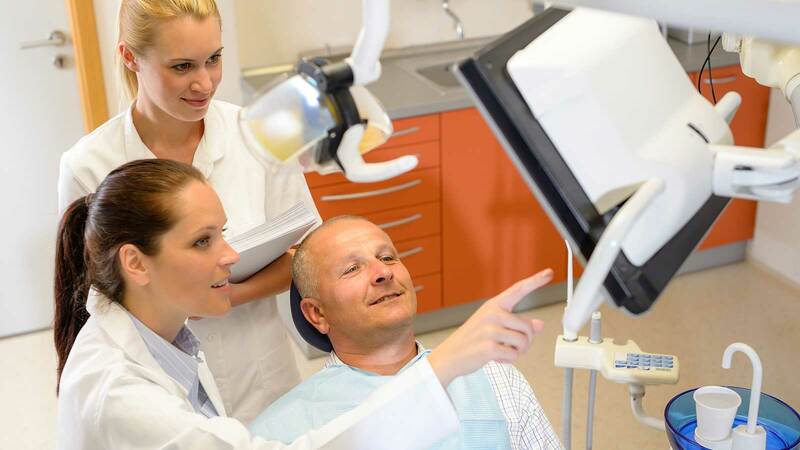 While some turn to temporary solutions—such as dental bridges or removable dentures—patients who want a permanent solution look to dental implants.